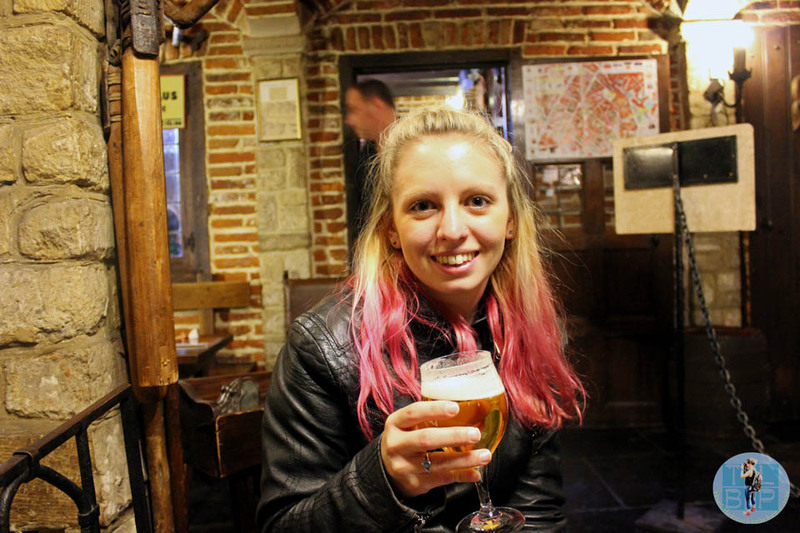 As the second part of my #parkinnexpress trip, I headed off to Brussels for the weekend. The format for the weekend was the same: Saturday was structured by treasure hunt clues and Sunday was for us to do as we pleased. I had the company of the lovely Shikha of Why Waste Annual Leave Blog for the weekend and we had a fabulous time. During the weekend I recorded daily vlogs but I thought I would go in to more depth about our weekend. Metro from Midi Station to Bourse – Due to being on a time limit until lunch we decided to take the metro, which cost all of €4 for a return ticket. Grand Place – Also called Grote Markt (Dutch) is, as I have said several times, hugely overwhelming. All of the buildings were eccentric: the detail on each part was incredible and each building towered over you. Most of them had some kind of gold decoration too and the Town Hall at 96 metres is the grandest of all. Manneken Pis – The peeing man statue is not far from the Grand Place and as I mentioned in my post about what surprised me in Brussels, is very small. He is a complete tourist attraction and always surrounded by a crowd, which also makes him easier to find. Grand Sablon via Palais Royal – Like all buildings in Brussels the Royal Palace was as grand as ever. The square in front of it is surprisingly used for traffic and can be quite busy, it didn’t seem to be much of a tourist attraction even though the building dominates the square. Further down the road past more royal buildings and museums is Sablon square a very ‘posh’ area. Filled with a weekend antique market and some of the best chocolate shops including pricey Pierre Marcolini and Wittamer – apparently where the royals shop. Restobierres via Palais de Justice – The Palais de Justice is huge (when built it was the world’s largest 1866-83) although during our visit restorations were underway. Since doing my research these restorations have been on going since 2003! 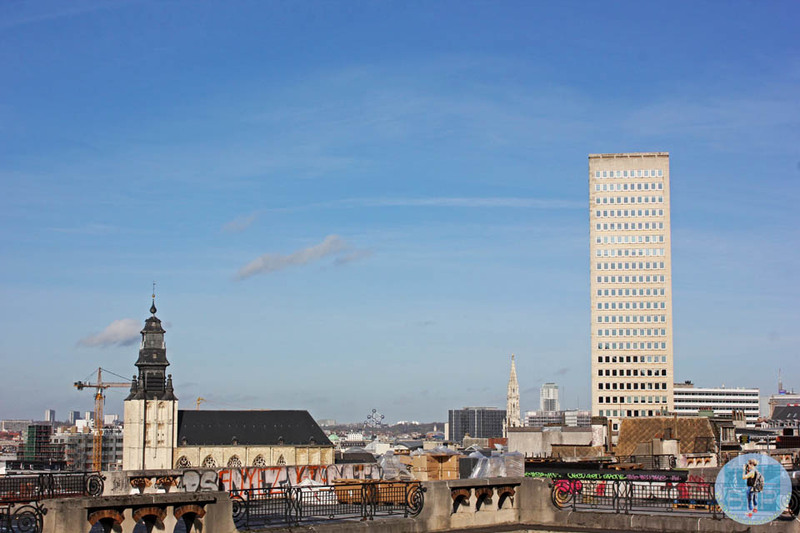 Also next to this incredible building, a glass elevator takes you down into the Marolles area. We stopped for lunch at Restobierres – a restaurant famous for mixing beer into every dish. The food was good, hearty European dishes and I fully enjoyed mine although the restaurant itself was dark and a little crowded. Back to the Grand Place for the Beer Museum – We walked back mostly the way we had come earlier. Our clue had instructed us to head to the beer museum. Although it was tiny and really not worth a visit for the museum it made a cute bar. For our €5 entry fee we were given a beer to enjoy in this basement bar full of quirky decorations, it felt a million miles away from the grand square above. Halles St Géry – Our last clue for the day was to find an old covered market, this is located not far from the Grand Place in the church at St Géry. No longer a market but home to many exhibitions and a little bar/lounge. 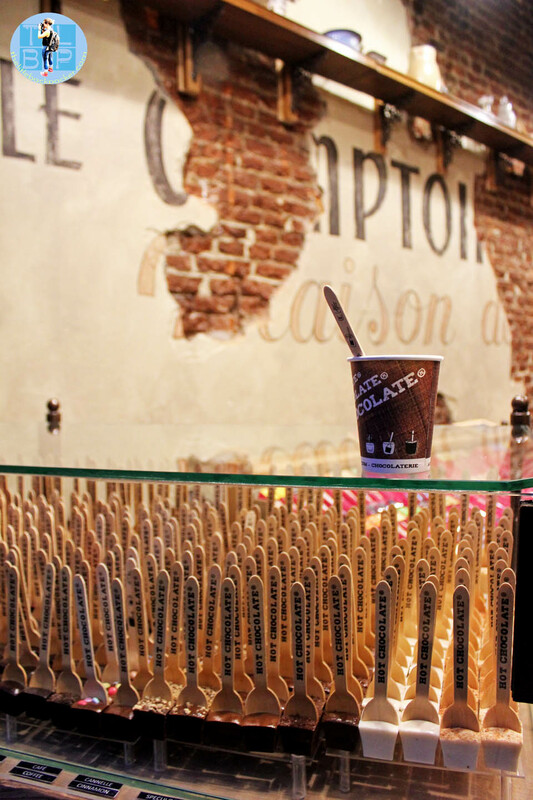 Mathilde Chocolate Shop – This in my opinion was the best chocolate shop we found in Brussels. A small shop off the side of the Grand Place and although no area to sit they do hot chocolate for takeaway. However this is no ordinary hot chocolate, the chocolate cube comes solid on a stick and you drip this in to hot milk and let it melt to create your drink. Amazing and under €4. Metro back from Bourse to Midi Station – We took the tram back to our hotel the Park Inn by Radisson. Gare du Midi Market – A Sunday market by the train station and stocked with everything you can imagine. Be prepared for the food stalls to be loud however the other side – home to mostly clothes – feels oddly quiet. 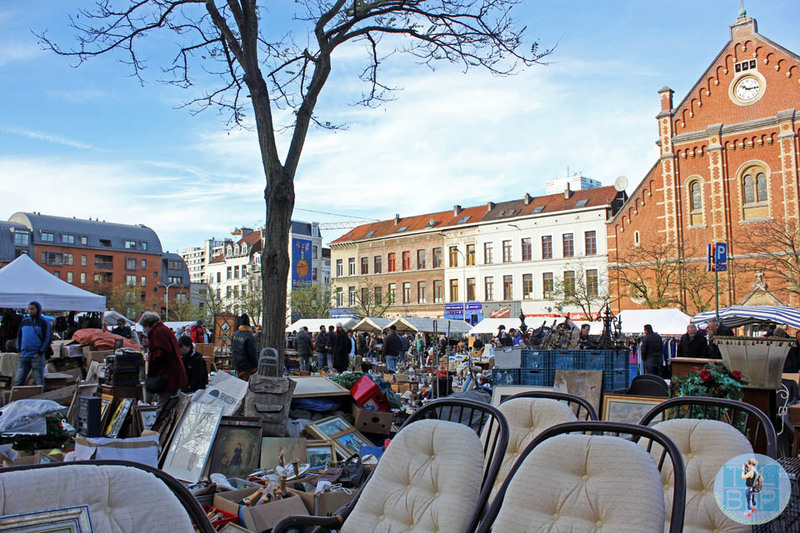 Jeu-de-Balle Flea Market – Another market, not far from the previous one but located in an open square with grand buildings all around. It is your typical ‘jumble sale’ type market and apparently everything is open to haggling. 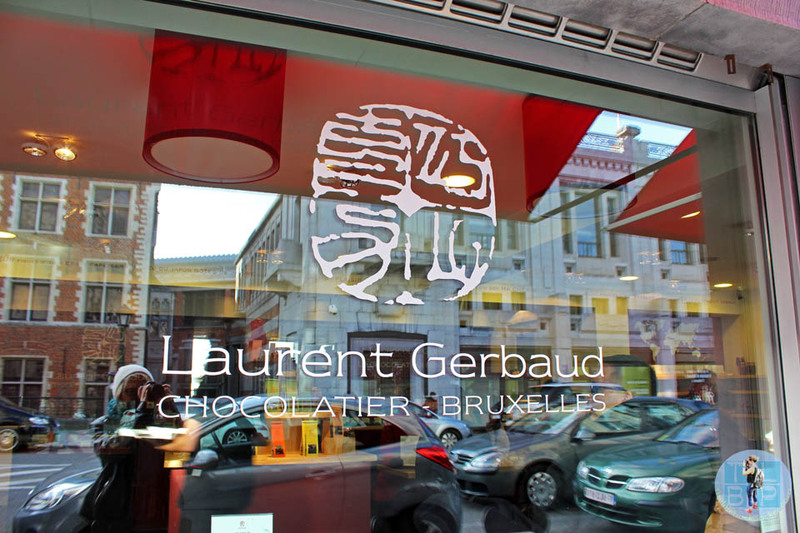 Laurent Gerbaud Chocolate Shop – Not far from the Sablon Square this chocolate shop was one of the only ones with a toilet and decent seating area. Apparently the hot chocolate was good too. Walk to the European Quarter via Parc de Bruxelles – This walk is much further than it looks, however the parks are very pretty and grand. Jourdan Place – Another cute market, this one was possibly my favourite with a real selection of goodies of food and clothes. Open on a Sunday and the perfect place for a casual Sunday morning stroll and some people watching. Maison Antoine – The best frites in Brussels apparently because they are double fried in beef fat – Lonely Planet’s words not mine. It took me an hour and 20 minutes queuing to get mine and I’m not sure they were worth that much time! Parc du Cinquantenaire – Another incredible park with a triumphal arch located in the centre, it was a tribute to Arch de Triomphe in Paris. Atomium – Located in the northern part of the city it will take a while to reach this structure however it is definitely worth the trip. Originally constructed for an expo in 1958 however the structure has since been made in to a tourist attraction with a viewing platform and restaurant at the top. Waffles from Los Churros just off Grand Place – As I mentioned in my vlog, we wanted to grab waffles from Mocafé however we didn’t have time for a sit down meal so opted for a takeaway version from Los Churros – they were exceptionally yummy. Disclaimer: My trip to Brussels was the second of a two part trip I am doing for the project for #parkinnexpress. All opinions of Brussels are my own however.